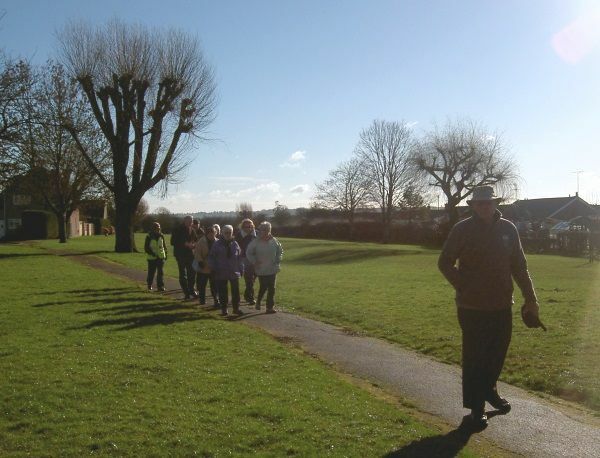 Following the success of the Cricklade Health Walking Group, the “Get Wiltshire Walking” inspired a starter group to be formed. This is a great way to begin to be more physically active. Last Friday the 7th. February, meeting at 10.00am the first starter walk enrolled eleven members. After registration each received a free ICE (In Case of Emergency)Card. 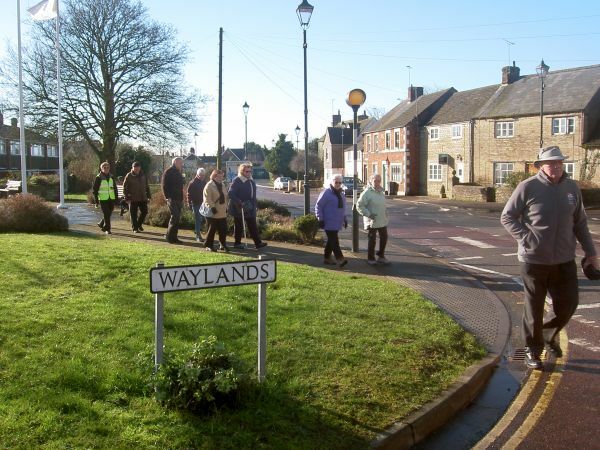 Everyone should be independently mobile and able to meet the demands of the walk, which was a level stroll along Waylands and up the High Street along Calcutt Street to The United Church Hall for refreshments. The regular walking group met at 9.30am on Friday at the Cricklade Town Council Offices to walk for approximately an hour along Stones Lane to Hailstone House and then returned to the Cricklade United Church for refreshments with the participants of the Starter Walk..
Everyone is welcome, providing you are independently mobile and able to meet the physical demands of the walk. It’s free and fun. 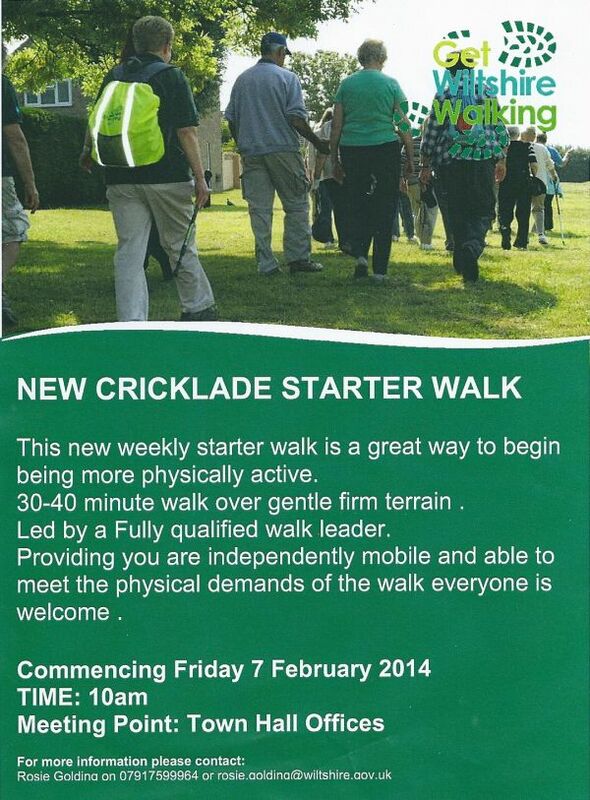 Just turn up at Cricklade Town Council Offices on Friday at 9.30 am/10.00am for the Strollers), or contact the walk leader below. Unfortunately, dogs are not permitted on the walks. 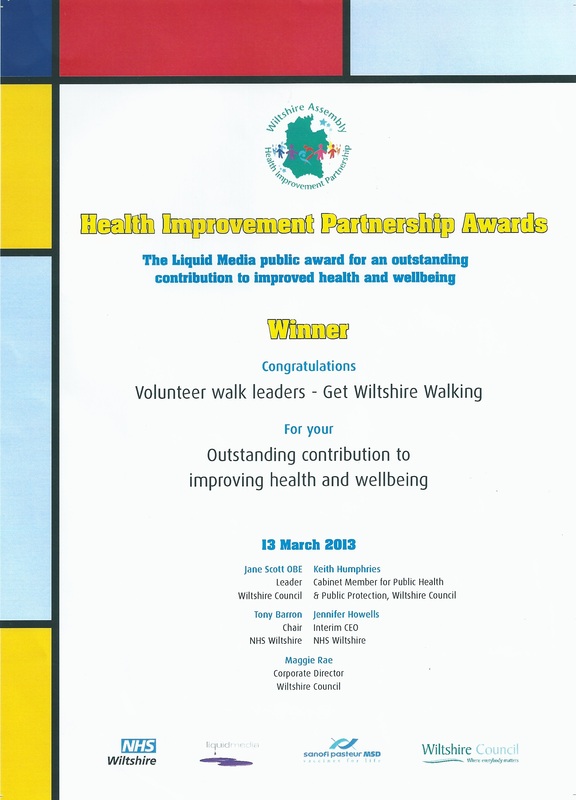 Wiltshire Volunteer walk leaders Award certificate arrived in Cricklade. 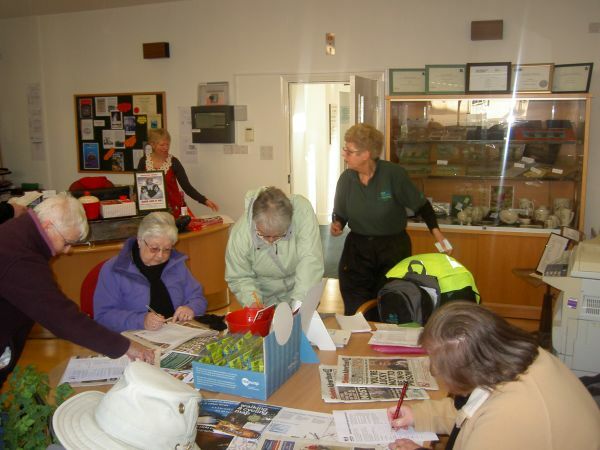 Cricklade volunteer walk leaders together with all the walk leaders in Wiltshire shared the Liquid Media Award 2013. 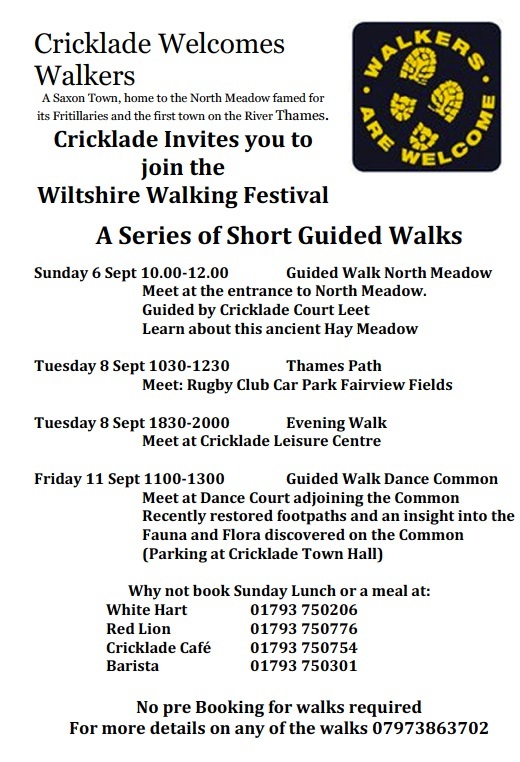 Walkers from Cricklade participated in the first of the ICONIC walks Challenge 2013 – A 2013 Wiltshire Challenge. These walks are designed not only to help ones activity level, but also increase your knowledge of the great county of Wiltshire.